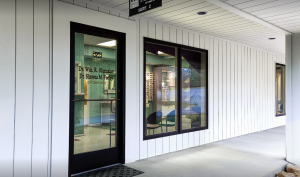 Our Bristol office is located on Midway Medical Park in Bristol, TN, Envision Eye Care is open 5 days a week, from 8 a.m. to 5 p.m. We also have evening hours available until 7p.m., by appointment only. Welcome to Envision Eye Care! We are pleased to announce the opening of our new Envision Eye Care location in Bristol, TN, located only a short drive from our eye care clinics in Cedar Bluff and Marion, VA, along I 81. Our staff at Envision Eye Care also extends a warm welcome to Dr. William Shumaker and Dr. Shawna Feeley, the experienced eye doctors who are joining us from Midway Eye Care. We look forward to seeing new and existing patients in our convenient and comfortable Bristol office! Do you need vision testing or a comprehensive eye exam? Or maybe your child needs a pediatric eye exam? Were you diagnosed with an eye disease, such as macular degeneration, cataracts, or glaucoma, and you need an expert eye doctor to provide the best treatment possible? No matter what you need – our Bristol eye doctor will provide it with skill and a caring manner. Our selection of eye care services includes a number of specialties. Nowadays, dry eye syndrome is a common vision condition, and we are knowledgeable about the latest therapies to alleviate the painful symptoms. We also understand that the unexpected always happens, which is why we treat a full range of eye emergencies, including eye infection and eye injury. Our mission is to keep your eyes healthy so you can enjoy all that you see! Medicine is always advancing, and new technologies are the norm. We make it a point to stay up-to-date with all the latest diagnostics, so your eye exam is as accurate and detailed as can be. Our Bristol office is equipped with leading optometric devices, such as OCT Scans and Digital Retinal Imaging to generate higher resolution images of your inner eye structures. To fit specialty contact lenses or plan your LASIK procedure, our eye doctor will perform Corneal Mapping. For generations, patients have had to endure the tedious process of providing feedback about various lenses in order for the eye doctor to determine the best vision prescription. With the development of digital auto-refractors and auto-phoropters, those days are gone. We are pleased to use the TopCon 5000 Auto-Phoropter in our office, and we invite you to experience this highly efficient eye exam. Our Bristol Optical Collection is Out-of-Sight! When you select a pair of designer frames from our Bristol eyewear collection, we ensure that your glasses will meet all of these demands with style! We feature a rainbow of styles, colors, and shapes from trending eyeglasses and sunglasses designers around the globe. Specialty eyewear, such as computer glasses with BluTech lenses, kid’s optical, sports glasses, and Transitions lenses, is available to suit every lifestyle. To prevent you from feeling overwhelmed by all your options, our optical staff will be happy to show you around and assist in narrowing your focus to the ideal glasses for your vision, personality, and unique look. If you prefer contact lenses, we also stock a complete inventory from brand-name manufacturers. Contact us at Envision Eye Care to book your eye exam, and stop by anytime to shop our boutique eyewear!